Rebalancing Power is an intensive purifying, sebum regulating, moisturizing serum and contains ingredients with anti-inflammatory properties. 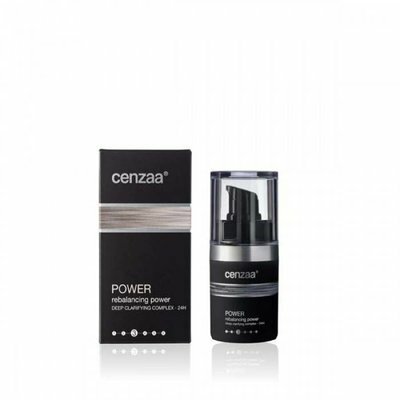 Rebalancing Power - Effective and purifying serum! Rebalancing Power [24H Deep Clarifying Complex] is an intensively purifying, sebum regulating, moisturising serum and contains ingredients with anti-inflammatory properties. Apply to cleansed skin, every morning and evening. If you want, you can finish with your favourite Cenzaa cream.